Sponsored by RetailMeNot. Visit my link to download the free RetailMeNot Genie browser extension and start saving the easy way: bit.ly/2CuVraW. Then reply to my pinned comment below to enter to win a $100 VISA gift card! Nokia has always reserved the name “PureView” for phones that push the boundaries of photography. When it launched in 2012, the original 808 PureView packed a then-giant 41-megapixel sensor that made digital zoom useful for the first time. And the PureView Lumia phones that followed spent years just slaying everyone else when it came to low light photos, while also introducing Optical Image Stabilization to the mainstream. The newest PureView comes from a new Nokia, and it tackles a new angle. This is the Nokia 9 PureView. Its mission: to bring some of the depth and dynamic range of professional still cameras to the smartphone world, without the cost and the bulk. When it succeeds, it produces photographs that ooze character, with an authenticity you won’t get from any other phone. But just like you don’t get money for nothin’... you don’t get these clicks for free. Join me for the Nokia 9 PureView review! 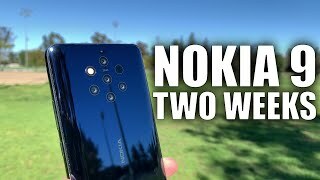 MrMobile's Nokia 9 PureView review was produced following 18 days with a Nokia 9 PureView review device provided by HMD Global. The device was running build number 00WW_4_19A and received one software update during the review process. A second update is promised to address the camera sluggishness and crashing issues, but was not delivered by presstime. Sponsored by RetailMeNot. What deal are you most excited to use? Reply here for your chance to win a $100 VISA gift card! I installed the extension but I think the link you provided doesn't work for you! Any good deal that helps me to renew the inners of my desktop PC will be more than wellcome! +MrMobile [Michael Fisher] Woaaaaah, thank you so much! An email will be coming from "wholsky" (just to let you know so no one can try and snipe it). Those sunglasses are dope! 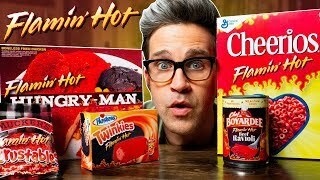 Can you link them down in the description? I'm so tired of this "don't worry if your phone is a buggy mess, bro. we'll fix it later" mentality that HMD Nokia had ever since their inception. Other than Nokiafans, I really don't think people are willing to buy those phones just for headaches on user experience. Well, as a day-one-owner of a Lumia 920 and a Lumia 950, I can tell you: The software of the 9 PureView is supreme in comparison. Especially the 950 had a completely unfinished beta-version of Windows 10 M. I'm not a huge fan of android, but pie ist really good. And there is no bloatware what so ever on the 9. Yes, ist has some downpoints, but Nokia Phones had these for years. If you are willing to accept them, you get a really good camera-phone. Best camera on a smartphone 2019 hands down.The Pixel ain't gonna beat this one. It doesn't make sense to have a specialize camera phone with no SD card slot and no camera button. Regular camera have SD card slot. 4:21-4:37 6:01-6:06 That explains why I never been a fan of fake bokeh. I'd just leave it as it is. cant wait for Nokia to get its second wind.. The 10sec delay for photo processing and the fingerprint scanner issue is a deal breaker for many people. So is it going to be best to wait until the 9.1? P30 PRO just destroyed Nokia 9 Pureview. Too bad it has built in backdoor for the Chinese dictatorship government. Recomend BB Key 2. +Norhayati Shaari Correction P30PRO . Can you please make a comparison video between Nokia 7 Plus and Redmi note 7? Ok , what about back covers/cases for this phone? This man has an inimitable way with words. It's a pleasure to just listen to his reviews. Nokia is doing pretty good with the camera and it just needs with the rest! It would be perfect! Thanx for reporting the problem with the Finger Print ! Nokia was died due to the software their cameras and build quality was already at the best in the market. and they are doing the same thing again not focusing on software. I don't understand why would anyone nees a phone with four cameras? Do you ever think you could swap to 60fps while filming? I know its difficult while dealing with 4k content, but i feel like the benefits outweigh the negatives. I found the fingerprint scanner useless to start with as well, but then registered my other thumb and both index fingers and the scanner works pretty well without having to excessively press hard. 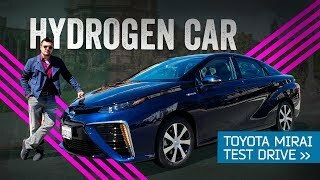 Hi MrMobile, what is that ring @1: 08? This review was really fricken good, I expect no less. I can't wait for you to review the Sony Xperia 1 which comes out in may. I kinda had to walk away from this video 44sec into this. Used a cell cam picture of an Fuji X-T3 with I'm guessing a 230ish mm lens attachment. Those 2 items alone are like 1900-2000USD. You're promoting a cellphone camera feature. The fact that you have a high-quality camera available... cant even trust all the pictures you're posting in your montage. +Ian-Devon Lewis Drugs are bad. ​+MrMobile [Michael Fisher] Ok. Lets make this a trip. You make a living via cellphone cameras. Seeing as majority of all your videos are on promoting cellphones and cellphone peripherals. Pretty sure you didn't do half of them with cellphone cameras, to say... a quarter, would be over generous or even a 10th would overstatement. You don't talk about the hardware of the camera. Seeing as Zeiss made the point to put its mark on it would mean you can atleast back track the lens that goes into said product. You mentioned 855. OK! That's worth a mention. Thats all it got. You could have gotten an extra minute or two on that. Snapdragon 855 is very interesting, and more interesting how other devices are utilizing and/or under utilizing it. Just saying... 855 kinda helps with the picture process and the experience. You make a living with your cellphone cameras; Got it. What is the experience of getting those pictures and videos from cellphone to your final platform? You mentioned saving your pictures to your SSD; Got it. What's the default file type? (RAW is an umbrella term btw.) Nokia wants you to use Google storage; Got it. Any loss in quality after upload and download(questionable re-upload) from phone to site (to final platform)? Just saying... All that 3rd party processing of a digital image deteriorates the digital product, that is the photo; the money maker. 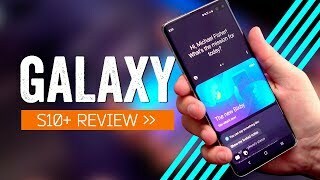 This is a cellphone review by title, yet its confusing because you didnt review. You made this into a camera review and yet you barely covered the camera. You don't even mention the name of the cellphones' camera archetype seeing as the emphasis is the camera. If the cellphone is a success that will be its signature. This is a fun comment. First you suggest that I'm "promoting" a cellphone camera. I'm not; I'm evaluating it and telling you whether you should buy it. Turns out you probably shouldn't, which you'd have heard if you'd stuck around to the end. Then you say that the fact that I (a CHclipr who makes his living on his cameras) own high-end camera equipment somehow implies that I must be ... what, substituting Fuji photos for the Nokia 9? Why, so I can make it look better? What possible purpose would that serve unless I was being paid by Nokia to promote their phone? And to take it one step further: why would I then give the thing a middling review? I'm fascinated by the world you've constructed. Why not 1 million subscribers yet. 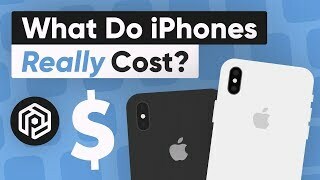 The most underrated tech youtuber. Plz run some give aways campaigns and also collaborate with other big tech youtubers. I'll give an A for effort. Fair review, but a number of technical inaccuracies. (1,200 layers of depth does not come from a ToF sensor). Nokia 9 is a flop. Too many deficits. Look to Nokia 10 for improvement. Nokia 9 is a flop. Look to Nokia 10 for improvement. Love the shot of the Tam, one of my favorite bars around here. Strange, in low-light I oftentimes get blown-out highlights with the photo mode and jpegs 😮 . Quality content, interesting phone rev. Honestly, the one thing I'm most amazed at the pictures is how natural / lifelike they look. Really amazing. But that fingerprint reader is really unacceptable. Should've gone with traditional capacitive fingerprint sensor instead. Great review as usual Mr Fisher! I really want to see this in other flagships. This is amazing. The finger print reader alone breaks the whole user experience of the phone. I'll get so irritated with that I wouldn't care if there were no other issues with the phone at all. It's going back to the store! How does it fare against Huawei’s Mate 20 Pro? Im watching this from my Lumia 1020...and we laught together.. hello son .. @9:03...I find this astounding. 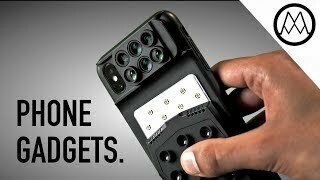 You have 5 camera lenses that should be able to gather 5 times the light that the Pixel does (one vs. five lenses) and yet you can't get, for some reason, enough light to shoot in a dark scene? Sounds as if only one of the camera's lenses was in operation on the Nokia; which should still work okay as the Pixel can do it. Another software flaw on the Nokia here. You are using and mentioning Adobe's Lightroom a lot. But what you aren't saying is that Lightroom is a program that you have to pay for to use. And is also a subscription service that will cost from 9.99/month to 19.99/per month. Are there any good free photo editing softwares out there? 2019, does nokia still make phones? 2025, does apple still make phones? Nokia has lost its touch. I'm sticking with Huawei. No SD card, No image stabilisation or dedicated camera button (on a Camera focused phone!!), . What a crap! Another way to export your raw photos is to use your OneDrive or similar cloud storage, piece of cake. CAN'T WAIT TO BUY IT!!! I WOULD HAVE BOUGHT HUWAWEI P20 BUT THIS VIDEO CHANGED MY MIND! All of mobile guys reviewers YOU Sir is the BEST!!! 5:50, those are nice shades. How is it that Nokia can make an awesome camera phone like the Lumia series and then follow it by this Frankenstein that is going to tarnish the Nokia name. It has to be that those who were behind the Lumia are no longer there and the new ownership is preying on those who would follow blindly to a brand they trust. Don’t trust the company though. They just admitted to sending private user data to China. Everyone should get RetailMeNot! I love getting the coupon codes at checkout! You lost me at the sponsor. Sorry not sorry. Get your RAWs off the phone then FFS. Those pics look amazing, but I'm not ready to spend 700 on any phone. 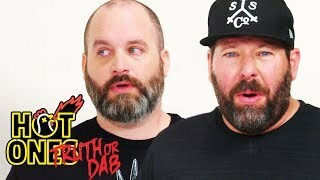 Excellent Oak Island reference and another enjoyable video. This phone is almost perfect. Nokia only needs to include dual speakers, micro SD card, heatsink, Dual A-GPS, 4,000mAh and last but not least, headphone jack to make it perfect. As this is a phone how is the call quality and cell reception ? No many reviewers talk ant this these days.. always abt look camera pixel screen ..
You should go back and check that "10 sec pro mode" photo which you say can't compete with the pixel... Nokia Pro Mode DOESN'T WORK... in order for it to actually work you have to leave the settings slider OPEN (showing on the screen) or it defaults back to "auto" mode - look at your EXIF. I noticed ON EVERY image I tried to manually capture... additionally, pro mode won't allow your to set your ISO and leave Shutter at auto, the second you slide the shutter back to auto, ISO also returns to auto mode.... Pro mode simply does not function like it should. Redmi note 7 pro 😫🙏🙏💓.